GameStart Asia, one of Singapore's most celebrated gaming conventions, returns for a second edition last weekend, which saw more than 17,000 visitors to the event. 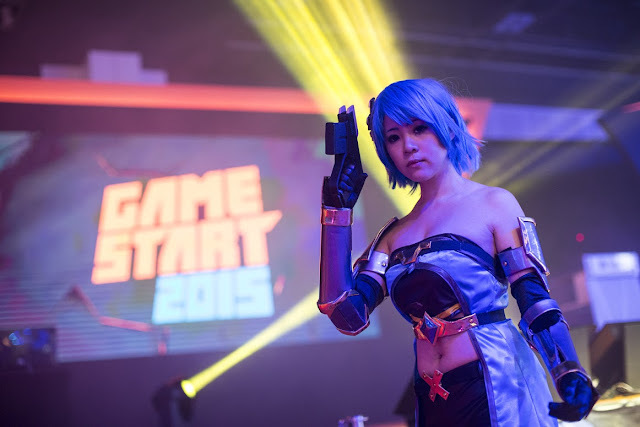 The convention, held on 13, 14 and 15th November, also had big names like Blizzard, Playstation, Bandai-Namco and Warner Brothers as participating gaming brands in the event. I had the opportunity to cover the event as part of the media (yes, this blog can now be considered as the media *throws confetti*) and I went during the last day of the convention, around Sunday evening. The atmosphere at the event was exciting, a lot of the booths were very well designed, with showcases on the big titles under the names. Players had the chance to test play different games, there was Just Cause 3 and Street Fighter 5 for example and Star Wars Battlefront under PS4. You could also try out their new Playstation VR machines, where you can immerse yourself in the gaming experience. Singapore's very own Witching Hour studios was there too with their Masquerada demo booth (I had the awesome chance of testing the game months earlier thanks to Dawn). And did I mention that there were tons of cosplayers too? 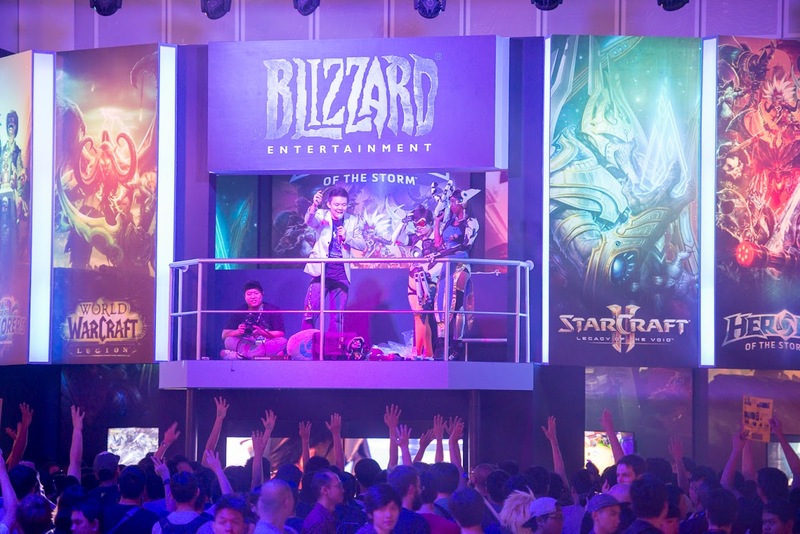 Not only did visitors get a sneak peek of the various games and merchandise on display, numerous events lined up the whole three days of the convention too. There were a lot of competition with giveaways, and some lucky visitors even walked away with PS4s. Sadly, the timing that I attended wasn't very good, so I walked away empty handed. There were also different e-tournaments held, which saw players fighting away on games like Starcraft 2 and FIFA. The event concluded on a high note according to the organisers, who promised that next year's event will be bigger and better.